AHCJ's annual conference will feature three and a half days of workshops, panels, roundtables and field trips covering the latest topics in medical science, health policy, public health, medical education, consumer health and the business of health care. Sessions focus on the special needs of reporters, editors and producers as they attempt to cover these topics for their audiences. The conference will include a salute to the latest winners of the annual Awards for Excellence in Health Care Journalism. The awards luncheon, as well as receptions and breakfasts are included in the registration fee. NEW THIS YEAR: We are excited to offer this year’s conference attendees an opportunity to have a professional head shot taken for their personal or business use for just a $10 sitting fee. Alexandra Glorioso, a health reporter, was diagnosed with breast cancer at age 31. She’s written about her disease (and she’s doing well). But on this webcast she’ll talk about what her experience has made her understand better as a reporter covering health policy and politics in Tallahassee. Note: This webcast is for AHCJ members, so you will need to have your login and password to participate. If you don't have that, please visit this page and enter your email address to have an access key sent to you. AHCJ’s 11th Rural Health Journalism Workshop will bring journalists together with health care and policy experts who focus on the medical challenges of rural areas. Leave with a better understanding of what’s happening – or will be happening – in rural regions, and return to work with dozens of story ideas you can pursue. You don't have to live in a rural area to write great stories about what's happening just beyond the city limits. And think about how much policy is set based on the non-urban population of your state. This special one-day, no-fee workshop will help you find and cover health stories in rural America. Please join the DC chapter of the Association of Health Care Journalists for a journalists happy hour and discussion about investigative reporting with The Wall Street Journal’s Stephanie Armour. Media interested in learning more about Sustainable Agriculture to inform their reporting should attend. As many media companies continue to struggle financially, opportunities for professional development for journalists have in many cases dried up. The Association of Health Care Journalists, however, continues to offer top-notch training and development programs even in this challenging environment. The Cleveland Chapter of AHCJ would like to invite you to an event to learn how you can take advantage of these learning opportunities, which include fellowships, webinars and training sessions. Wiley - in partnership with World Federation for Science Journalists (WFSJ) & Association of Heath Care Journalists (AHCJ) - presents Science Talks with Society of Environmental Toxicology and Chemistry (SETAC): What Journalists Should Know About the Environmental Impact of Microplastics. With thanks to speakers Dr. Susanne Brander and Dr. John W. Davis. What we report on health care – and what our audience sees, reads, or hears aren't always one and the same. MIT political scientist Adam Berinsky is an expert on public opinion – and what goes wrong. Recently he's been doing a lot of fascinating research on health policy and health news and has some provocative things to tell reporters about who we trust – versus who the public sees as a trusted communicator. Please join the D.C. chapter of the Association of Health Care Journalists for an on-the-record briefing about artificial intelligence in health care. How can you be sure your expert source doesn't have a shady past? What if your lead anecdote has a history of insurance fraud? We'll walk through some websites and strategies you can use to create a routine and spot potential red flags before you get burned, whether you're interviewing a patient with a medical story, an outside expert researchers or anyone else. Millions of Americans are taking prescription drugs made in China and don’t know it – and pharmaceutical companies are not eager to tell them. The pressure to lower costs has led some drug companies to look overseas where manufacturing standards are less strict and quality control can be iffy. This poses particular risks to older adults, who often take a half-dozen or more medications daily and who may be especially vulnerable to devastating side effects from tainted products. Climate change has many impacts on public health, including the transmission of infectious diseases. Changes in temperature and rainfall mean that mosquitos and ticks that transmit disease become more plentiful and affect more regions of the U.S. and the rest of the world. More destructive storms destroy public health infrastructure and expose more people to water-borne diseases. Changes in humidity increase the risk of illnesses being spread through bodily fluids. Learn more about these impacts from two environmental health experts and story ideas to illuminate how climate change is changing the spread of disease in animals and people. AHCJ is pleased to provide ongoing training and support for new and seasoned health reporters. As part of our partnership with Wiley we offer members access to an educational series of webinars called Science Talks that are brought to you by The Wiley Network. A brief history of antimicrobial resistance (AMR) and how it occurs. What are the leading causes of microbes/bacteria becoming resistant to drug treatments? What threat does antimicrobial resistance pose to humans? How are scientists fighting back against antimicrobial resistance? The webinar will include time for questions and answers. Come celebrate the season with health journalists and some representatives of the administration. RSVPs will be required to get through security. The South Florida chapter of AHCJ will join other journalism organizations to celebrate the season with networking, trivia fun, light bites, and drink tickets for the first 25 attendees. Come meet and mingle with leaders in Cleveland's journalism and communications community. AHCJ is joining forces with other journalism groups in Cleveland for a holiday party. We will take a look at the Medicaid expansion landscape for 2019, after the midterm elections, changes in state government and ballot initiatives. What has to happen next? And what will it take for the holdout states to finally change. We also will review what's known about ACA enrollment by the end of November. After years of decline, the number of sexually transmitted disease diagnoses in the U.S. is on the rise. Our panelists will discuss why this is happening and what journalists need to know. They will suggest some story ideas to explore and resources for reporters. Come get the tools to better investigate, understand and relate the health of your city. Three members of the Cincinnati Enquirer staff will discuss how they reported, edited, and produced the Pulitzer Prize-winning "Seven Days of Heroin" special report. Join AHCJ's New York City chapter on Oct. 2 for this panel discussion. This edition of Science Talks will look at the history of HIV/AIDS, what regions are most affected and the reasons for regional disparities, what treatments are available now and in the future and which sources of information are most reliable for journalists reporting on HIV and AIDS. The role of the courts has recently heightened as many individual market and Medicaid policy issues are set to be determined by judges across the country. In the lead up to the midterm elections, this webinar will examine the implications of impending health policy legal decisions. In the more than seven decades since community water fluoridation efforts were launched across America, scores of studies have supported the safety and effectiveness of optimally fluoridated water in reducing tooth decay. But most water supplies in the U.S. are controlled locally. Laws and ordinances governing water fluoridation are often passed at the community level. Our guest, pediatric dentist Johnny Johnson, president of the American Fluoridation Society, will update reporters on fluoride research and debates that may be coming to their communities. Members of the Association of Health Care Journalists and public affairs officials from the Department of Health and Human Services and the Centers for Medicare and Medicaid Services will attend an informal happy hour on the roof of CQ Roll Call. New trackers can help us get insight into the coming ACA enrollment season, county by county. Two public health leaders who are working on the front-lines of the opioid crisis will talk about how they are working to address the impact of social determinants on infectious disease death rates and will provide reporters with ideas on where to find stories in their community. While family caregivers form the backbone of the health and long-term care systems, a projected shortage of caregivers, coupled with an increasing aging population, is prompting a need for new approaches to care for seniors with multiple chronic conditions who want to age in their communities. Please join the Atlanta chapter of the Association of Health Care Journalists for a panel discussion on responsible reporting on suicide, featuring a Georgia Bureau of Investigation agent specializing in preventing child deaths and a behavioral Scientist in the Division of Violence Prevention at the Centers for Disease Control and Prevention. If you are looking for detailed information about the financial health of hospital systems and health care facilities, you need to know EMMA. The Electronic Municipal Market Access website is the official source for comprehensive annual financial reports and operating information about any hospital or health care facility financed by public debt. AHCJ provides ongoing training and support for new and seasoned health reporters. As part of our partnership with Wiley we offer members access to an educational series of webinars called Science Talks that are brought to you by The Wiley Network. The current situation in regions affected by the Ebola virus and if there is still any danger. Where we stand with the research on finding a vaccine and if the latest trials on humans proofed successfully. When the vaccine will be made available for humans affected in regions by the Ebola virus. What the future will bring in terms of infectious diseases, such as Ebola. How local journalists can better report on infectious diseases including: what they should look for, what kind of questions to ask, what resources they should use. We'll discuss association health plans and short-duration health plans – what are they, what will they cover (and not cover), how will they address pre-existing conditions, and what do they mean for the ACA markets? The nations’ employers, who provide health insurance for more than half of all Americans, know that maternity care is the number one reason for hospitalization among most employee populations. They also know that the highest cost for maternity care is when a pre-term infant (those born at less than 39 completed weeks of gestation) is treated in the neonatal intensive care unit. For this reason, employers nationwide want hospitals to reduce the number of early elective deliveries. Prescription Drug Costs: Can Increased Competition Restrain Prices? There has been growing momentum among policymakers to address rising prescription drug prices. One solution is leveraging market forces to bring down costs by increasing competition through generics and biosimilars. During this webinar panelists will discuss the main opportunities and challenges of the generic and biosimilar market, how past administrations have approached this issue, and how different stakeholders, including consumers, are impacted. AHCJ’s 10th Rural Health Journalism Workshop will bring journalists together with health care and policy experts who focus on the medical challenges of rural areas. Leave with a better understanding of what’s happening – or will be happening – in rural regions, and return to work with dozens of story ideas you can pursue. Our next AHCJ DC chapter networking event is our fifth annual rooftop happy hour with health care communicators, which is hosted at the National Pharmaceutical Council. This is a social event that will allow you to meet other health reporters and people who work in health communications. Did you know that AHCJ members have access to the Cochrane Library as well as all health science titles published on Wiley Online Library? With this benefit, you can read millions of articles from more than 1,500 journals, including Cochrane Library, Cancer, Journal of the American Heart Association and more. The role of media in helping to translate medical evidence to help consumers make informed health decisions. As adults age, so do their immune systems, leaving them vulnerable to vaccine-preventable diseases like the flu, shingles and pneumonia. Yet adult vaccinations are low in the U.S., which can result in costly hospitalizations and other medical interventions. This panel will explore some of the reasons for low adult vaccination rates, which range from the failure of insurers to cover adult vaccines to lack of information from health providers. Join health journalists and experts for the world's premier training event for journalists interested in covering health care, medical research, public health issues, consumer health, ethics and the business of health care. Topics on the agenda include gene therapy, health care in the age of Trump, hospital consolidations, reporting on Native American health issues, covering immigrant health, making the most of free health data, covering mass violence, artificial intelligence, hospital charity care and bad debt, veterans’ health, pain control, Medicare and much more. The conference includes field trips, the annual journalism awards luncheon, the always-popular Freelance PitchFest and receptions. AHCJ has teamed up with the National Library of Medicine to present the AHCJ-NLM Fellowships. AHCJ will select four journalists to spend a week on the campus of the National Institutes of Health in Bethesda, Md. Enhance your medical and scientific reporting through this specialized fellowship. The application deadline is March 21. Independent journalists Meryl Davids Landau and Rachele Hendricks-Sturrup have launched a new South Florida chapter of the Association of Health Care Journalists. Our aim is to create social events and programming for health care journalists in the area (whether you report on health policy, wellness, specific medical conditions, alternative medicine…). For our first event of the year we are partnering with the National Press Foundation for a daylong workshop on covering the opioid crisis. Experts will discuss the latest research and projections on the use of opioids, other drugs and alcohol; evidence on federal, state and local models that work; insight on systemic changes in prevention and treatment; and information on the impact and stigma on children and families. Please join us at the National Press Club for our annual holiday party to toast a great year of health care journalism! The threat of antibiotic resistance continues to grow. In some cases, resistant bacteria have already meant patients are living in a "post-antibiotic" world. In 2016, a Nevada woman died after developing an illness from bacteria that were resistant to all approved antibiotics in the U.S.
How are these bugs spreading? What is the U.S. doing to halt their spread? And how can reporters cover antibiotic resistance in their communities? Two CDC officials will talk to reports about this evolving story. The Boston chapter of the Association of Health Care Journalists is back in business, and we’re inviting you to a panel discussion and reception with key members of the team that separated 22-month-old conjoined twins at Massachusetts General Hospital, knowing one would almost certainly die. The case raised a host of surgical and ethical challenges that Dr. Allan M. Goldstein, surgeon-in-chief at MassGeneral Hospital for Children, Dr. Brian M. Cummings, chair of the hospital’s Pediatric Ethics Committee, and Dr. Oscar J. Benavidez, chief of pediatric/congenital cardiology, will discuss. A group of four studies led by University of Michigan researchers finds that beliefs about one's own aging are predictive of future health. Self-perception affects a person's physical and mental well-being – from timeliness of seeking care to feelings about themselves, their partners, and other older adults. Our guest will discuss how self-perceptions of aging affect health and the role the media plays in reinforcing those perceptions. Place: New York State Health Foundation, 1385 Broadway at 38th St.
AHCJ members are invited to participate in a free online demo of the LexisNexis news archives, which journalists use to research subjects and find sources for their work. The webinar is being offered as part of a deal to get discounted access to LexisNexis, a program for AHCJ members arranged in partnership with the Contently Foundation, a New York nonprofit for investigative reporting. The Association of Health Care Journalists has agreed to collaborate on the curriculum for the 10th World Conference of Science Journalists slated for fall 2017 in San Francisco. Independent Journalists Meryl Davids Landau and Rachele Hendricks-Sturrup have launched a new South Florida chapter of the Association of Health Care Journalists (AHCJ). Our aim is to create social events and programming for health care journalists in the area (whether you report on health policy, wellness, specific medical conditions, alternative medicine…). This Alliance for Health Policy webinar will unpack the knowns and unknowns heading into the upcoming Affordable Care Act marketplace open enrollment period that begins on Nov. 1. We will examine what those currently enrolled in marketplace coverage and those planning to shop for coverage can expect when it comes to plan choices, costs, plan design, and help enrolling. Please join the Atlanta chapter of the Association of Health Care Journalists for a panel discussion on innovative approaches to antibiotic resistance. Featured speakers include Michael Bell, M.D., deputy director of Division of Healthcare Quality Promotion, Centers for Disease Control and Prevention; Maryn McKenna, journalist, Senior Fellow at the Schuster Institute for Investigative Journalism at Brandeis University; Cassandra Quave, Ph.D., Assistant Professor in the Department of Dermatology, Emory School of Medicine and the Center for the Study of Human Health, Emory College of Arts and Sciences; and Joshua Weitz, Ph.D., Professor, School of Biological Sciences; Director of the Interdisciplinary Graduate Program in Quantitative Biosciences. This conversation with the California exchange director Peter Lee about lessons learned in the first years of enrollment, and how to apply them going forward in a different political climate. Is the U.S. prepared for a flu pandemic? Next year, 2018, will mark 100 years since the Spanish flu swept the world, killing as many as 100 million people. Now that we are at the beginning of this year's flu season, what are the deadly strains that are circulating and how likely is a pandemic flu? What is the state of preparation if a pandemic flu in the United States if one were to strike? What about the world? This presentation will give attendees an understanding of the Medicaid waiver landscape heading into a busy fall, when precedent-setting decisions are expected on several states’ proposals. The first meeting of AHCJ's new South Florida Chapter will feature Angela Brice-Smith, deputy consortium administrator for Centers for Medicare and Medicaid Services' southern region, who will provide the latest updates on chronic care management, the CMS' quality payment program, and opioid abuse, a public health problem that has and continues to affect people in South Florida. Reporting on addiction can be challenging because there are so many facets to the big picture and so many pitfalls resulting from stigma about addiction. Sometimes stories don't focus enough on withdrawal and recovery aspects of addiction. Sometimes an article inadvertently reinforces stereotypes or stigmatizing misconceptions, such as portraying addiction as a moral failing rather than a chronic disease. Experts from the Altarum Institute will discuss public health issues involving the opioid crisis, aging policies and children's health. Register now to join us at an Association of Health Care Journalists rooftop happy hour Thursday, June 15, in downtown D.C. Registration deadline is June 5. AHCJ’s Rural Health Journalism Workshop will bring journalists together with health care and policy experts who focus on the medical challenges of rural areas. Hear from the director of County Health Rankings and Roadmaps, an annual measure of vital health factors revealing a snapshot of how health is influenced by where we live, learn, work and play. This is a FREE workshop but you do need to register ahead of time. Public health experts from Purpose Built Communities and Build Healthy Places Network will offer journalists insights into growing efforts to tackle the social determinants of health with an eye on communities at-large. Amid increasing recognition that one’s neighborhood can impact health as much as – if not more than – other medical factors, this webcast will look at specific steps some cities and other areas are taking to address health with a more holistic lens by looking at space, redevelopment, affordable housing and more. This webinar will focus on how the AHCA would impact states and Medicaid beneficiaries, how a system of per capita caps would work, what we learned from the Medicaid expansion under the Affordable Care Act, and how states might respond to new waiver flexibility from the Centers for Medicare & Medicaid Services. We will examine these issues from both the federal and state perspective, and from the perspective of reporters covering this important issue. Health policy is unpredictable in the Age of Trump. This webinar will look at recent developments in Washington, D.C. – and how they affect health coverage in states. We’ll look at the current state of the Affordable Care Act, and likely changes to Medicaid. Don't miss the world’s premier training event for journalists interested in covering health care, medical research, public health issues, consumer health, ethics and the business of health care. Health Journalism 2017 will host hundreds of reporters, editors, producers and news directors taking part in educational sessions, skills-building opportunities and career networking. Online and social media platforms provide journalists with new ways of telling stories beyond the printed word. But journalists don’t have to invest in high priced professional video cameras or audio equipment to tell a multimedia story. What's next for health policy? This webinar looks ahead at the issues surrounding U.S. health care and at potential changes that Congress, the Trump administration, and the states will be likely to adopt in the coming months and years. What are the problems that persist in the health system, especially in the individual insurance market? What are the policy options to address them, through executive action, agency rulemaking, and legislation? Whether you are taking part in this year's PitchFest at Health Journalism 2017 or simply looking to improve your approach with other editors, this 60-minute webinar will help elevate your pitch to a story package that screams, "Commission this now!" You'll learn how to avoid common pitching blunders, and how to best communicate your ideas. The Trump administration has promised to repeal and replace the Affordable Care Act. But what might a replacement look like? What impact could potential features of a new policy have? Is aging a disease, and should we treat it as such? Writing in the newly released "Handbook of the Philosophy of Medicine," medical ethicist Arthur Caplan, Ph.D., head of the ethics program in the Global Institute for Public Health at New York University, contends that there is nothing natural about aging and that it serves no purpose. This New York City chapter event promises to be a lively discussion. This webinar will present an overview of the individual and employer-based insurance markets before and after the ACA, and it will will look ahead at the choices both insurers and consumers must make for 2018 and beyond. You're invited to the Association of Health Care Journalists' DC Chapter Holiday party and networking gathering! All journalists interested in health care reporting are welcome, and we'll be inviting some special guests who have helped many of us over the course of the year. Medicare: What would it take to add a dental benefit? This webcast will feature Beth Truett, president and chief executive officer of Oral Health America, a national advocacy organization that is focused upon improving the oral health of older Americans. Truett will talk about a growing push to add a dental benefit to Medicare and the findings of new research by her group on the oral health of multigenerational "grandfamilies." Note: This webcast is for AHCJ members, so you will need to have your login and password to participate. Public health historians Gerald Markowitz and David Rosner, authors of “Lead Wars: The Politics of Science and the Fate of America's Children,” will offer their take on the nation’s long fight against lead poisoning and its devastating health impact. Reporters will gain a better understanding about how the environment impacts the health struggles of various communities as well as how those health struggles have been tackled over time, particularly when it comes to children, race and equality. The webcast will help provide context and ideas for those covering environmental health, public health or specific readership areas. This 30-minute webinar led by author and freelancer Brooke Borel, author of the recently published, “The Chicago Guide to Fact-Checking” will provide step-by-step tips on how to check your story for errors, how to annotate your stories for a checker, materials you need and when to start annotating. If you're one of the first 50 who log in to the webcast, you'll be entered into a drawing for a chance to win a copy of Borel’s book. Health IT holds promises to give individuals more control over their own health, help physicians make more informed care decisions and improve the overall health of populations. And it holds promises for local stories - covering business, policy, public health, research and more. AHCJ’s Journalism Workshop on Health Information Technology will give journalists a look at the roles of government, the tech industry, health care providers and – last but not least – consumers. This event will include two panels: One will examine future steps for health care reform, including election topics, and the other will explore final goals as the Obama administration comes to a close. The first panel will include Neera Tanden, president of the Center for American Progress, who worked on President Barack Obama’s health care reform team, and William Hoagland, senior vice president at the Bipartisan Policy Center, who served as senior budget adviser to Senate Republicans for 25 years. The second panel will feature Andy Slavitt, acting administrator for the Centers for Medicare & Medicaid Services. Joanne Kenen will host a conversation with Katherine Hempstead, who directs the Robert Wood Johnson Foundation's work on health insurance coverage, about the upcoming enrollment season – and some of the data the foundation has gathered to better understand the status of the insurance market. Nearly every health care reporter comes across this challenge daily: how to account for costs? Whether writing about the uninsured, drug prices, insurance plans or the business of heath care, journalists are constantly wading through complex web of pricing and related issues. Consumer Union’s Lynn Quincy will discuss how to navigate the challenge of health care costs, from finding transparent information on costs and quality to understanding the wide price variations for seemingly similar care. This event is exclusively for AHCJ members so you will need your website login and password. Dementia coaches help educate and train families, organizations and communities to view and treat people with Alzheimer’s and related dementias in best-practices dementia care. They do so in ways that maintain or improve the person’s lifestyle for as long as possible while maintaining his or her dignity. The Association of Health Care Journalists' Washington D.C. Chapter invites you to a Matchbox Happy Hour for a discussion on covering health technology and wearables. For journalists reporting on how payers, providers and patients are promoting discussions about treatment options and costs, AHCJ will host a webinar with Robert W. Carlson, M.D., chief executive officer of the National Comprehensive Cancer Network. What's the Story on Hospital Safety Ratings? We’ll be joined by senior communications staff from groups like the National Pharmaceutical Council, the National Health Council, AdvaMed and the National Community Pharmacists Association. This is an informal gathering that will give us a chance to meet and mingle. Health journalists often need detailed, accurate information about health care providers. Learn more about a new AHCJ membership benefit through the company Carevoyance, providing data covering hospitals, physicians, laboratories and other providers. Social media, video and a host of other technological changes have a daily impact on health journalism coverage – but what about their messaging to patients, caregivers and others? We will take a look at how the language and information facing today’s population is impacting people’s health across the country with Rima Rudd, a founder in the field of health literacy studies and a leading researcher exploring this aspect of health communication. At AHCJ's annual conference, attendees are exposed to sources and resources that can provide immediate news or become the foundation for in-depth projects in the weeks and months ahead. Conference attendees have heard from – and interacted with – high-level government officials, top-notch researchers, well-regarded educators, effective clinicians, prize-winning journalists and authors and many more experts on a vast array of health topics. The perfect story pitch needs to answer detailed questions in a relatively short word length: why this story; why this story is perfect for this particular publication; why this story needs to be covered now; and how this story has been covered in the past. In this webcast, two experienced editors, Jessica Bylander of Health Affairs and Anna Maltby of Refinery29, will talk about pitching to their publications. They will also give advice on how to package a successful pitch, and how to package a successful story idea. CMS Acting Administrator Andy Slavitt oversees Medicaid, Medicare, Children's Health Insurance Program and the ACA health insurance exchanges. And he's deeply involved with CMS efforts to improve value and quality of U.S. health care by changing delivery models and payment incentives. He's talking to AHCJ members about what's ahead this year. The webcast will be moderated by Joanne Kenen, AHCJ's core topic leader on health reform and health editor at Politico. The Foodborne Outbreak Online Database (FOOD) Tool is a public tool that allows for a basic look at outbreak data between 1998 and 2014. The presenter will give a brief description of the surveillance system which collects this outbreak data and give a demonstration on how to use the FOOD Tool. Join the Chicago chapter of the Association of Health Care Journalists for a panel discussion featuring the vice president and chief pharmacy officer for the Resource Group at Ascension and a researcher who examines the effects of government policies and social phenomena with a focus on the health sector. Deadly Dentistry: How Safe is Your State? Collaborator and data journalist Daniel Lathrop will talk about state-by-state findings that were part of the series. In some ways, nuclear power has never looked better — or worse. In an age of climate change and growing energy demands, the world needs low-carbon fuel sources, and nuclear delivers electricity without the greenhouse gas emissions of fossil fuels. Can nuclear power be considered a form of "green" energy? In the wake of Fukushima, Three Mile Island, and Chernobyl, can it be reliable and safe? Journalists who cover energy, business, health, and the environment are invited to this workshop covering the risks and benefits of nuclear energy for health care, research, and power generation. Congress is poised to pass the 21st Century Cures Act in 2016 that many experts believe will weaken FDA regulation of medical devices with far-reaching consequences to the public. If you cover the FDA, the drug and device industry or are interested in the path of this legislation and those interested as patients who might need such devices will find this program helpful. Calling obesity an "epidemic" is almost a cliche in health reporting, but there is no question that obesity is linked to many serious health issues and quality of life, and obesity incidence has been increasing. That reality has led to even more medical research into its causes, its treatment and management and the conditions obesity increases the risk of experiencing. Obesity expert and physician Yoni Freedhoff will provide an overview of obesity research and explain what reporters need to know and look for in medical research about obesity. We compete, we break news, we make a difference. Now it’s time for the Association of Health Care Journalists’ D.C. Chapter Holiday networking gathering! Come toast the holiday season with craft beers, vintage wine — and some light and healthy(ier) food. There is no formal program – just a gathering as we look forward to 2016. We’ve invited some special guests who have helped many of us during the year. All health journalists are invited. LGBTQ youth are at a higher risk for mental health, substance abuse and other health issues, yet are less likely to get health care. Despite growing attention to these health challenges, health care providers, insurers, families and even youth themselves are grappling with how to address such disparities. Susan Heavey, AHCJ's topic leader on the social determinants of health and health disparities, will discuss ongoing and unique challenges facing LGBT youth with Lawrence D’Angelo, M.D., M.P.H., division chief of adolescent and young adult medicine at Children’s National Health System in Washington, D.C and director of the hospital's Youth Pride Clinic. This event is exclusively for AHCJ members so you will need your website login and password. If you don't have that, please visit this page and enter your email address to have an access key sent to you. Today, average life expectancy is almost 80 years. But, while we’ve added years to life we haven’t always made those extra years healthy and vigorous. Eighty percent of seniors have at least one major chronic condition, and half have two or more. Chronic diseases of later life cost our nation more than $1 trillion per year and will increase to $6 trillion by 2050. A new frontier in science is revealing the “problem behind the problem” of chronic disease. “Geroscience” is the study of how the underlying processes of aging itself put us at risk to develop chronic disease. And it is on its way to modifying those processes through new medical strategies that could benefit millions. In November, the Health Care Incentives Improvement Institute (HCI3) will publish methodology that will allow consumers, health plans, provider organizations and others to better calculate complication rates for individual physicians. AHCJ members are invited to a webcast with François de Brantes, HCI3’s executive director, who will explain the methodology and preview the results of the organization’s third annual State Report Card on Transparency of Physician Quality Information. Learn how to use evidence-based skills to evaluate and report on medical research sent out in press releases, published or presented at conferences. Panels will cover the connections and disconnections of science and policy, clinical studies, research tools for evidence-based stories, reporting on scientific fraud, understanding and reporting on screening evidence, digging into statistics and how to use anecdotes and narratives while sticking to evidence. How’s Obamacare Medicaid expansion working out for enrollees, providers and states? Where the best data to examine Medicaid managed care organizations? How are states trying to control rising Medicaid costs? Where is Medicaid failing children? How is Medicaid keeping people out of nursing homes? These are just some of the topics our guests will address at this Washington, D.C., chapter event. This year the Centers for Disease Control and Prevention launched the National Antimicrobial Resistance Monitoring System (NARMS Now), a database and visualization tool that makes it quicker and easier to see how antibiotic resistance for four bacteria transmitted commonly through food has changed during the past 18 years. In this short webcast, CDC personnel will demonstrate the tool and answer questions about how the data might be used. NOTE: This is exclusively for AHCJ members; you will need to be logged in. If you're having trouble logging in, please email info@healthjournalism.org. Join the Chicago chapter of the Association of Health Care Journalists on Oct. 13 for a panel discussion of the recently released Institute of Medicine report “Improving Diagnosis in Health Care.” The committee writing the report concluded that "most people will experience at least one diagnostic error in their lifetime, sometimes with devastating consequences." The Association of Health Care Journalists’ Washington, D.C., Chapter invites you to “Brews and Views” — a gathering to learn how the Affordable Care Act can help small employers gain health coverage for their workers. Going Viral: Ebola… MERS… ??? Are We Prepared for the Next Outbreak? In West Africa’s Ebola outbreak, more than 12,000 people were infected and 6,476 died. Almost 3,000 people were quarantined and more than 10 died in the recent MERS outbreak in Asia. What happens next time? A vaccine against Ebola has been successfully tested in Africa. Will it be effective or will the virus mutate and become an even bigger threat? Join us for a webcast with François de Brantes on how health insurers and providers are making bundled payment work. Learn about insurance carriers in each state – their enrollment, premiums, claims and several measures of utilization. Katherine Hempstead, of the Robert Wood Johnson Foundation, will share data from the National Association of Insurance Commissioners. AHCJ’s eighth Rural Health Journalism Workshop will bring journalists together with health care and policy experts who focus on the medical challenges of rural areas. Take part in a discussion about choosing wording that’s sensitive and straightforward when reporting on the LGBT community, people with disabilities and people with mental health conditions. Vaccine refusers represent only a small percentage of people who may not get vaccines for themselves or their children. Many people who don't get vaccines are simply hesitant to do so. This panel discussion will cover vaccine hesitancy and outreach. With the King v. Burwell Supreme Court decision expected in June, how would states and stakeholders handle the loss of health insurance subsidies if the plaintiffs prevail? Hundreds of journalism colleagues gathered in California’s Silicon Valley — an intersection of health and technology, and home to Health Journalism 2015. Attendees visited area sites during field trips, heard from world-class health experts and journalists during panels, took part in skill-building workshops, and more. The conference helps reporters, editors and producers cover the latest in medical research, health technology, public health issues, the business of health care, health policy matters and journalism. Join the AHCJ Philadelphia chapter and heart experts from Children’s Hospital of Philadelphia to learn more about how far that field has come – and where it’s going. AHCJ will host a webcast especially for independent journalists who are planning to take part in the Freelance PitchFest. Note: This webcast is for AHCJ members, so you will need to have your login and password to participate. Come meet the top communications officials from many of the nation’s largest biopharmaceutical companies, including Merck, Pfizer, Eli Lilli, Johnson & Johnson and others, as well as from the PhRMA. Reforms to the health care delivery system have been overshadowed by the ACA enrollment story. Note: This webcast is for AHCJ members, so you will need to have your login and password to participate. Please join the Chicago chapter of the Association of Health Care Journalists for an update on health information technology in Illinois and the nation. AHCJ's Washington, D.C., Chapter and the New York University's Academic Center in Washington, D.C., invite you to a discussion about how journalists can cover the upcoming Supreme Court case on subsidies provided under the Affordable Care Act. Elder abuse affects an estimated one in 10 older adults in the U.S., according to the National Center on Elder Abuse. That does not include financial exploitation. Advocates say much more can and should be done. In advance of February, Children’s Dental Health Month, Shelly Gehshan, director of Pew’s children’s dental campaign, will discuss the latest research on oral health and how it may impact policy in the states. NOTE: AHCJ member name and password required. Please join the San Francisco Bay Area chapter of the Association of Health Care Journalists and the nonpartisan Alliance for Health Reform for a special event on Wednesday, Jan. 21. This will be a conversation between long-time New York financial journalist Phil Zweig who is the co-founder of a group called Physicians Against Drug Shortages, and Dr. Peter Bach, who directs the Center for Health Policy and Outcomes at Memorial Sloan Kettering. He has spoken widely on the issue the high price of cancer drugs and publishes in medical journals as well as other news outlets. You're invited to the Association of Health Care Journalists’ D.C. chapter's holiday networking gathering! ACA enrollment round II: Do consumers have the help they need? Join the Atlanta chapter of the Association of Health Care Journalists for a special event focusing on the Affordable Care Act’s second open enrollment. Media audiences far away from west Africa are seeing more and more Ebola-related stories in their own states or communities. What do reporters need to know? AHCJ members will get some help sorting out the answers to that question in this webcast. A third of children are overweight or obese. Now one out of five new cases of childhood diabetes is type 2 diabetes, formerly known as adult onset diabetes. But diabetes doesn’t affect kids and adults the same way. You will hear insights of what are the special issues faced by kids with diabetes and obesity and learn about what community outreach and prevention studies can work. This webinar will clarify what reporters need to know about the science and pseudo-science behind water fluoridation. NOTE: AHCJ member name and password required. This discussion will cover the upcoming 2nd ACA enrollment period. NOTE: This is exclusively for AHCJ members; will need your username and password. If you don't have that, please email info@healthjournalism.org. The Association of Health Care Journalists’ Washington, D.C., chapter and the Alliance for Health Reform will host a discussion on getting ready for Round Two of marketplace enrollment and covering the big issues. Frailty is associated with greater mortality, chronic disease burden, risk of infections, falls, and hospitalization. NOTE: This is exclusively for AHCJ members; will need your username and password. If you don't have that, please email info@healthjournalism.org. A. Mark Fendrick, M.D., director of the Center for Value-Based Insurance Design, will explain the principals of VBID and why this strategy is important for consumers. NOTE: This is exclusively for AHCJ members so you will need to have your website username and password. If you don't have that, please email info@healthjournalism.org. Looking for new angles on the Affordable Care Act? The Robert Wood Johnson Foundation will discuss the highlights of six databases on the law in an exclusive briefing for AHCJ members. AHCJ’s seventh Rural Health Journalism Workshop will bring journalists together with health care and policy experts who focus on the medical challenges of rural areas. This special one-day, no-fee workshop will help you find and cover health stories in rural America. The Atlanta chapter of AHCJ is having a gathering May 21 to hear Michael Eriksen, dean of the School of Public Health at Georgia State University, speak about e-cigarettes. Studies show that seniors in nursing homes often go without dental care. Experts will look at the need for oral health services in nursing homes and steps that are being taken to get this care to patients. This will be an event exclusively for AHCJ members so you will need your username and password for the website. If you don’t have that information, please reset your password using the one-click login option or contact info@healthjournalism.org. The Association of Health Care Journalists’ Washington, D.C., chapter invites you to a rooftop happy hour with senior communications officials from patient, provider and research advocacy groups. From debates over preventive screenings to wasteful use of high-cost imaging or emergency care, the pressure is on to rein in unnecessary, redundant or ineffective care. We'll examine one effort, the American Board of Internal Medicine Foundation's Choosing Wisely initiative. So far, more than 50 medical societies have offered up more than 200 tests, treatments and other interventions that "physicians and patients should question." What is it really like to be a family caregiver for someone with dementia or serious illness? What are some of the key issues that aren't being discussed? And how can journalists better bring untold caregiver stories to light? The new Southern California chapter of AHCJ will have meet for a discussion about health care price and financial transparency. Attendees will hear from Dylan H. Roby, Ph.D., director of the Health Economics and Evaluation Research Program at the UCLA Center for Health Policy Research, and Ron Shinkman, editor of Payers & Providers and and editor/columnist for Fierce Health Finance. Information and refreshments will be served in generous portions! Foods containing ingredients with genetically modified organisms (GMOs) have been dubbed Frankenfoods. They generate scary headlines. Some consumer advocates urge a GMO ban, arguing that they're untested, unregulated, and linked to potential health problems. Others insist the answer is labelling GMO foods or ingredients so that consumers can choose — and this spurs intense lobbying efforts. And yet others assert that GMO foods can be a boon. Several countries have already barred specific GMO crops. But what do we really know about GMOs? Why do they cause such a firestorm of controversy? Find out at this informative, thought-provoking discussion. As the Centers for Medicare and Medicaid Services prepares to release payment information for individual doctors, AHCJ will host a webcast to help reporters find the stories in the data. The CMS data includes the number and type of services provided, and the amount paid for those services delivered in 2012. Journalists can use this data to help consumers to make more informed choices about the care they receive. AHCJ has long advocated for the release of this data. This will be an event for AHCJ members, so you will need to have your website login information to participate. The world’s most important gathering and training event in health care journalism will take place at the Grand Hyatt in downtown Denver. There will be dozens of workshops, panels and roundtable discussions featuring some of the best minds in medicine, health policy, research, public health and business. Our spotlight speakers include Louis W. Sullivan, M.D., who served as HHS secretary from 1989 to 1993 and was the founding dean and first president of Morehouse School of Medicine, and Paul A. Offit, M.D., chief of the division of infectious diseases and director of the Vaccine Education Center at Children’s Hospital of Philadelphia. Sullivan is author of "Breaking Ground: My Life in Medicine," due out just before the conference. Offit is the author of several books including "Deadly Choices: How the Anti-Vaccine Movement Threatens Us All" (2011), and "Do You Believe in Magic? The Sense and Nonsense of Alternative Medicine" (2013). Gov. John Hickenlooper will welcome attendees to Colorado during the conference kickoff. AHCJ will host a webcast especially for independent journalists who are planning to take part in the Freelance PitchFest at Health Journalism 2014. Our panel of editors will give their best advice on how to make your pitch communicate a story, and impress them in the process. Note: This webcast is for AHCJ members, so you will need to have your login and password to participate. Join the Association for Health Care Journalists for the first in what is hoped to be a series of programs over the next couple of years, pinpointing new options for freelancers to use their journalistic skills to make a living. The Italian chapter of AHCJ will collaborate on the first national meeting of the Science Writers in Italy, to take place Feb. 15-16 in Florence. On Feb. 15, the venue will be the Museum of Natural Sciences (Skeletons’ room in the Specola) in the city center. On Feb. 16, the gathering will be at Galileo’s House, “Il Gioiello,” in Arcetri. The fee (50 euros) will cover coffee and lunch breaks. The official language will be Italian. Visit this website for more details (in Italian). How does the U.S. Preventive Services Task Force come to its determinations and how can you report on the science and not just the heat a recommendation generates? You will need your AHCJ user name and password for access. The Affordable Care Act, or Obamacare, raises complex and often very personal questions for Americans. Reporters can learn the facts and nuances of this program, how it works, what it means and how to localize this story. Medicare: Whose Entitlement Is It? Medicare reform is a hot topic, ith both political parties proposing raising the Medicare eligibility age and premiums on older adults, among other changes. Two experts will help AHCJ members understand the issues. This is an event for AHCJ members so you will need your AHCJ user name and password to access the webcast. Click here if you need help or contact info@healthjournalism.org. The cost of health care: Is transparency possible? For years, health insurers and employers have been shifting the responsibility to pay for care to consumers and employees. AHCJ will explore the need for information on the cost of care in this webcast. This is an event for members so you will need to log in. Click here if you need help logging in or contact info@healthjournalism.org. Join AHCJ's New York City chapter for a discussion about New York's Insurance Exchange, featuring Elisabeth Benjamin, vice president of the New York Community Service Society. The Atlanta chapter will gather to greet the 2013-14 Regional Health Journalism Fellows, who will be in town visiting the CDC as part of the fellowship program. The gathering will be 6-8:15 p.m. on Wednesday, Dec. 4, at The National Journal offices at The Watergate (600 New Hampshire Ave. NW). Does your story list need a kick in the pants? The technical problems of HealthCare.gov have overshadowed other health reform stories since the rollout of the federal marketplace website on Oct. 1. Journalists now need to look ahead for trends and develop new story ideas. Our panel discussion will dig into three big changes that haven't received much public attention yet: pediatric dental coverage, substance abuse treatment coverage and a new type of nonprofit health insurers called CO-OPs. Webcast: Will families buy kids’ dental benefits on new exchanges? We’ll get early assessments of whether health care reform is actually getting dental care to more kids, through private insurance and Medicaid expansions. This is an event for AHCJ members so you will need your AHCJ user name and password to access the webcast. Make sure you have that information beforehand. Click here if you need help or contact info@healthjournalism.org. Freelancers often walk a fine line between doing work that pays the bills and doing work that helps them reach their creative and career goals. Reporting fellowships are a way to do both. There are a number of reporting fellowships out there, and most are open to freelancers. But how do you make yourself stand out? How do you line up the clients, the story ideas and the plans for doing a fellowship, all while maintaining your other freelance work? A recording of this webcast is now available for AHCJ members. Are you a health reporter who regularly writes about mental health? Or maybe you’re looking to add this important area to your beat? Join us for a workshop and perspectives from two veteran health journalists. This workshop explores stigmas, stereotypes, and facts about mental health, and covers sources, precision, relevance, language, cultural considerations and many other issues that can help reporters and editors tell more complete stories. There’s never been a more pressing need for robust reporting about mental health. This workshop can provide you with some tools for telling that story accurately. Webcast: How will rural Americans tap into the insurance marketplaces? Nearly one in five uninsured Americans live in rural areas, and a greater proportion of rural residents lacks health insurance compared with the proportion of urban residents without health care coverage. One of the goals of the Affordable Care Act is help make health insurance coverage affordable and accessible for the approximately 60 million Americans who live in rural areas. You will need your AHCJ user name and password to access the webcast, so make sure you have that information beforehand. Click here if you need help. Journalists are invited to tap into health data in a special workshop coming this fall. This AHCJ workshop offers something for data newcomers and veterans – from spreadsheet basics to visualizing data online. You’ll come away with skills and ideas on teasing stories out of datasets and tools on presenting these stories. The first day will feature hands-on classes focused on spreadsheet basics for the novices. The second day will feature more advanced training. Children's Hospital of Philadelphia is hosting a Philadelphia chapter meeting for the Association of Health Care Journalists on Thursday, Sept. 26 from 5:30 to 8:30 pm. The focus is on fetal surgery, a field that has delivered big changes in spina bifida treatment and other complex conditions diagnosed before birth. The sessions will kick off at 5:55 pm with a Welcome-Intro from Dr. Scott Adzick, CHOP's Surgeon-in-Chief, and at 6:05 pm, we go to breakout groups, enabling us to rotate through six short presentations. CMS officials answered questions from reporters about the federal health insurance marketplace. Reporters had direct, on-the-record access to Gary Cohen, deputy administrator and director, Center for Consumer Information and Insurance Oversight, and Julie Bataille, director, CMS Office of Communications. A recording of this briefing is now available to AHCJ members. Come learn about some best ways to cover the new exchanges, best questions to ask and sources to contact. Panelists include Julie Rovner of NPR, Sarah Kliff of The Washington Post, AHCJ's health reform topic leader Joanne Kenen of Politico and Sabrina Corlette of the Center on Health Insurance Reforms at Georgetown University’s Health Policy Institute. The Atlanta chapter of the Association of Health Care Journalists will meet 7 p.m. Tuesday evening, Sept. 10, at Ri Ra Irish Pub (1080 Peachtree St NE, Suite 1, at the corner of Crescent and 12th) in Midtown to hear about the CDC's role in global health. We'll hear from Ron Ballard, Ph.D., who is associate director for laboratory science at the CDC Center for Global Health Leadership. Join other health writers to chat about health care science/policy, network and, of course, drink... to your health! Bring along anyone you think might be interested, with the understanding that this is a pitch-free networking event. Reporting on end-of-life issues can be touchy for everyone involved and journalists need to handle issues of death and dying with sensitivity and skill. Understanding the processes, both clinical and legal, the nuances, and methods to manage such emotional issues with patients, families, and care providers, will result in more effective and powerful stories. Sharpen your reporting skills and learn more about treatment decision making, health care near the end of life, hospice and palliative care and ethical issues that accompany them. Join us for a webcast on Wednesday Aug. 7 at 8 a.m. PDT/11 a.m. EDT. Our panelists will be V.J. Periyakoil, M.D., director of Palliative Care Education and Training at Stanford University; Nancy Berlinger, Ph.D, a research scholar at The Hastings Center and an author on end-of-life care; and Lisa Krieger a San Jose Mercury News health reporter whose multi-part series on death and dying chronicled her personal experiences with the process. Liz Seegert, AHCJ's topic leader on aging will moderate. Please join the Philadelphia chapter of the Association of Health Care Journalists on Tuesday, June 18 for a special event to explore the challenges that Pennsylvania and New Jersey face this year leading up to the 2014 health law changes. AHCJ’s sixth Rural Health Journalism Workshop will bring journalists together with health care and policy experts who focus on the medical challenges of rural areas. 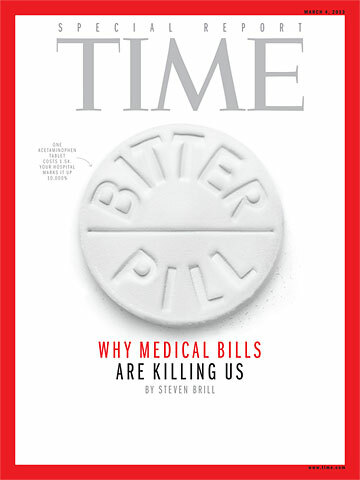 Brill will talk about his recent Time Magazine piece, "Bitter Pill: Why Medical Bills Are Killing Us," and other health journalism observations. In the wake of the "death panels" controversy that demonized efforts to compensate physicians for conversations with patients, there is a growing movement to improve end of life care. Billions of dollars are spent annually on Medicare patients for care delivered in the final months of their lives, much of it unnecessary, painful, duplicative and unwanted. Studies have shown that earlier use of palliative and hospice care and advance care planning can not only improve the quality of life and care, but also lengthen lifespan, improve patient satisfaction and cut costs. This panel will discuss how hospitals, physicians and advocates are working with patients to improve end of life care. The Washington, D.C., chapter of the Association of Health Care Journalists invites you to a gathering with pharmaceutical industry reps. This off-the-record, informal gathering is a chance to meet communications people from the Pharmaceutical Research and Manufacturers of America – people you may know only through email and press releases. No speeches, no lobbying – just good food and good conversation. Despite pushback from the Republican-controlled Ohio General Assembly, Ohio Gov. John Kasich is still hoping to expand Medicaid and is committed to seeking federal help with the state’s insurance exchange. Find out where things stand in this briefing. Meet John Polanowicz, the new secretary of the Executive Office of Health and Human Services. A former hospital executive and a graduate of the United States Military Academy at West Point and Stanford University’s business school, Polanowicz oversees 15 state agencies. With his background as a company commander in the U.S. Army, he has a special interest in issues facing veterans and military families. Please RSVP by Monday, May 6, to info@healthjournalism.org. A special HHS press call will focus on the costs of hospital procedures. Following that briefing, join us for a webinar on understanding and using the data behind those costs. The free webinar is 2-3 p.m. ET, Wednesday, May 8. Former California Medicaid Director Stan Rosenstein, the Kaiser Family Foundation’s Larry Levitt, and workforce expert Susan Chapman will address the complex issues that California faces this year leading up to major 2014 health law changes. Less than a year from now, states must be ready to enroll millions of people in insurance exchanges, as outlined in the 2010 health care overhaul law. Or, the federal government will step in to do the job, or part of it. States also have the option of opening their Medicaid programs to millions of new participants. But that's not much time, considering their long to-do lists. Will California be ready to begin enrolling people this fall? Will hospitals and insurers be ready in time? Will people with changing economic situations bounce between Medicaid and subsidized private insurance, and will they have gaps in coverage? Will people know what kind of insurance to sign up for, and how to do it? Will there be a shortage of physicians and other medical providers? This briefing will help you answer these questions for your readers, viewers and listeners. The Association of Health Care Journalists’ Washington, D.C., Chapter will meet up with the U.S. Department of Health and Human Services’ communications team. This informal, off-the-record gathering is a chance to meet the HHS communications people you may only know through email and phone calls. Dori Salcido, Acting Assistant Secretary for Public Affairs, and several members of her staff will be joining us. A record crowd of more than 750 attended Health Journalism 2013 in Boston. Journalists from across the United States and eight other nations took part in skill-building workshops, panel discussions and field trips to area research sites. The conference, produced by the association’s Center for Excellence in Health Care Journalism, featured world-class speakers, and helpful sessions aimed at aiding reporters, editors and news producers in better covering the latest health issues. AHCJ used a news briefing to unveil its news app, hospitalinspections.org. Please join the Atlanta chapter of the Association of Health Care Journalists and the nonpartisan Alliance for Health Reform for a special event on Tuesday, March 5. Health insurance expert Bill Custer, Medicaid expert Tim Jost and Grady Memorial Hospital CEO John Haupert will address the complex issues that Georgia faces this year leading up to major 2014 health law changes. Children’s Hospital of Philadelphia is holding an open house for AHCJ members. It’s a great way to get in the mood for Health Journalism 2013 in Boston (March 14-17). And even if you’re not going to Boston, this free event promises to produce some good story leads involving the cardiac care of children and adult survivors. AHCJ has your back with a webcast on pitching health stories that sell, featuring some top editors. One key issue addressed at the recent World Economic Forum was the rapidly increasing global aging population; and how to prepare for its profound impact on global health, as well as the direct economic, social and political implications. Global experts from the WEF Global Agenda Council on Ageing led this discussion in Davos and presented a new report outlining key challenges/opportunities associated with global aging, including how to improve healthy aging through the innovation of global health systems and investment in long-term health options; as well as specific initiatives to seize the social and economic opportunity created by the aging population. The New York City Metro chapter of AHCJ is proud to announce Dr. Ben Goldacre will be speaking to health journalists at its Feb. 20 meeting. Goldacre (@bengoldacre), a physician, is author of the best-selling book "Bad Science" and the new book "Bad Pharma," which is already making waves around the globe. Goldacre's website says he specializes in "unpicking dodgy scientific claims from drug companies, newspapers, government reports, PR people and quacks. Unpicking bad science is the best way to explain good science." Goldacre has been writing the Bad Science column in the Guardian since 2003. His latest campaign, his biggest ever, is AllTrials.net, which is seeking to have all clinical trials registered, all summary results reported, and full Clinical Study Reports made publicly available. Two doctors who specialize in palliative care will discuss recent innovations in that area and cross-cultural health issues that arise in working with patients and families. A Bay Area journalist who has written about end-of-life issues will share her experiences, including obstacles and challenges in reporting, and how she got around them. What information do the states still need from the federal government about how the federal and partnership exchanges will work? How much latitude will the states have to handle eligibility for Medicaid and to make sure that people transitioning between Medicaid and subsidized private insurance in the exchanges won't have gaps in coverage? Can the federal government be ready with its own back-up exchanges? Will insurers be ready in time? This briefing, sponsored by AHCJ, the Alliance for Health Reform and the Robert Wood Johnson Foundation, will help you answer these questions for your readers, viewers and listeners. Come toast the holiday season with some fine wine and craft beer with other D.C.-area health reporters and editors. No formal program – just a gathering of health journalists to tell war stories from 2012 and look forward to another crazy year in 2013. We are headed into the chilliest season of the year and at the Cleveland Association of Health Care Journalists' Meet 'n Greet you can get a head start on holiday chillin' (and playing catch-up) at Cedar-Fairmount's aptly named and cozy (dim lights, scattered tables, comfy couch) Fairmount Martini and Wine Bar. Today, Americans are living 30 years longer than their ancestors did just four generations ago. Yet policymakers have been slow to recognize the implications of this unprecedented increase in longevity. As a result, social institutions of all kinds – workplaces, communities, families, educational organizations, health care providers – haven’t yet adapted to the challenges and opportunities posed by America’s aging population. Nor is there any consensus over what successful adaptation might look like. In this webcast, three experts will discuss noteworthy trends and research in aging, including a recent study on troubling disparities in life expectancy that was featured on the front page of The New York Times. Judith Graham, AHCJ’s topic leader on aging, will moderate. The CDC's John Jernigan, M.D., M.S., clinical team lead on the Multistate Meningitis Outbreak and director of the CDC's Office of Health Associated Infections Prevention Research and Evaluation will talk about the agency’s response to the multistate fungal meningitis outbreak. Join the Chicago chapter of AHCJ on Thursday, Nov. 15, to meet JAMA Editor-in-Chief Dr. Howard Bauchner. He’ll be ready to talk with us about the election and what the voting outcome means for health care, the path of health care reform, changes ahead for The JAMA Network and the state of medical journals. AHCJ San Francisco Chapter -- E-book publishing: New opportunities for health journalists? Do you have an e-book in your writing future? Join us and find out. The Bay Area Chapter of the Association of Health Care Journalists invites you to join us and find out. This event is FREE and all AHCJ members, nonmembers working in health journalism, journalism students, and others in the health care field are welcome. The AHCJ Reporting Fellowships on Health Care Performance is a yearlong program allowing journalists to pursue a significant reporting project related to the U.S. health care system. It can be local or national in scope, or a little of both. Guidance is provided by AHCJ fellowship leaders through customized seminars on health care systems, conference calls and email consultations. The fellowship covers the cost of attending the seminars and AHCJ conferences, and a project allowance is available to defray the cost of field reporting, health data analysis and other project-related research. In addition, each fellow will receive a $2,500 fellowship award upon the successful completion of the project. What does the election mean for senior health? This AHCJ webcast will examine one big piece of the puzzle: what this election’s outcome means for seniors on Medicare, older adults who receive long-term care services from Medicaid and other programs that serve our elderly population. Join us for some drinks, good company – and to hash over the election results and what they mean for health care and especially the Affordable Care Act. John McDonough and Robert Blendon of the Harvard School of Public Health will join us to help make sense of the outcome. Just days after the November elections, states will have to make final (or reasonably final) decisions about whether they are going to run their own health insurance exchange and what that will look like – or whether the federal government will take responsibility for all or part of the exchange. We’ll talk to three experts who are doing hands-on work with both “red” and “blue” states. Experts and journalists have gathered to understand and better report stories on the health status of – and health care provided to – U.S. immigrants, both legal and undocumented. Sessions include finding the stories you can pursue on the immigrant health paradox, how the health reform battle has impacted immigrants, workplace health and safety, the mental health needs of immigrants, special challenges in covering immigrant communities and more. Optional hands-on sessions on Thursday will bring to life the connections of data covering immigrants and health via online and desktop data tools. At this New York City AHCJ chapter meeting, Humphrey Taylor, pollster and chairman of the Harris Poll, will talk about election polling, giving us his insights and maybe some predictions. He also will discuss international health comparisons. You’re invited to an informal meeting with the policy and communications officials from some of the nation’s leading physician advocacy groups, including the American Medical Association, The American Academy of Pediatrics, the American College of Physicians, the American College of Cardiology and the American Osteopathic Association. Many of you had the pleasure of hearing Brawley, chief medical and scientific officer of the American Cancer Society, speak at Health Journalism 2012. Now, Dr. Brawley has been invited back to talk to our Atlanta chapter about various health topics. This will be a fun event, and guaranteed to be thought-provoking as well. AHCJ put together a panel for the annual joint conference of the Society of Professional Journalists and the Radio Television Digital News Association. Joanne Kenen, AHCJ's health reform topic leader and deputy health editor of Politico; and Stacey Singer, investigative reporter at The Palm Beach (Fla.) Post; offer ideas for local stories about health reform. The Chicago chapter of the Association of Health Care Journalists is planning an event to help you make the most out of Twitter and other social media. AHCJ members took advantage of an exclusive on-the-record conversation with Farzad Mostashari, M.D., national coordinator for health information technology, and other officials with the HHS Office of National Coordinator for Health Information Technology. View and learn how to use an updated “Health IT Dashboard” to find local-level information for your stories. AHCJ will hold a members-only call with CMS officials to discuss major upgrades to Nursing Home Compare and Hospital Compare websites. Join AHCJ on Thursday, July 19, at 11:30 a.m. ET, for an exclusive members-only conversation with officials from the U.S. Centers for Medicare and Medicaid Services about the rollout of major new additions to the Nursing Home Compare and Hospital Compare websites. You won't want to miss this. Many of you are familiar with the Compare websites as sources for information about nursing home citations, hospital patient satisfaction scores, as well as mortality and readmission information. CMS has redesigned the sites and will be launching them on Thursday. Click here to log in for more information and the chance to test your browser in advance. Webcast: The Supreme Court has ruled. Now what? To assist reporters who will need to localize the decision, AHCJ will host a webcast with experts to offer suggestions on stories you can pursue right away and in the weeks ahead. The event will take place at noon ET on June 29, the day after the court releases its ruling. Join the Association of Health Care Journalists Washington DC chapter for an informal happy hour/networking event with the public affairs team from the Department of Health and Human Services from 6:30 p.m. to 8:15 p.m. on Tuesday, June 5 on the outdoor patio at Poste Brasserie in downtown D.C.
Join us in America’s heartland on June 1 to learn how to better report the health stories abounding in rural areas. This special one-day, no-fee workshop in Omaha, Neb., will help you find and cover those stories in your area. Just join AHCJ – or make sure your membership is up to date – to attend. The National Aeronautics and Space Administration (NASA) has played a leading role in research and development of simple, low-cost medical items and devices used in the United States and around the world. NASA’s Glenn Research Center has been involved in much of that R & D. And since activities there are now focusing on “exploration medicine” – the design and development of diagnostic and treatment devices that non-experts can use during exploration missions – that role will grow. To learn about NASA’s work on medical devices and procedures currently used in health care and those in development, come and hear from Dr. Jerry G. Myers, Jr., PhD, chief of the Bio Science and Technology branch, NASA Glenn Research Center. Chicago chapter: What’s next for the states on health reform? Former President Jimmy Carter, and first lady Rosalynn Carter, as well as Otis Brawley, M.D., the American Cancer Society's chief medical and scientific officer, and David Satcher, former U.S. Surgeon General, will be spotlight speakers at the annual conference of AHCJ. David Satcher, M.D., Ph.D., former surgeon general and CDC director, will join us on April 20 to discuss what the future looks like for primary care. As a special feature this year, we will be joined by former Olympic runner Jeff Galloway. He will lead early-morning risers on an easy-paced run around downtown on April 19. After returning to the hotel, he will discuss covering health and fitness. Join more than 500 other journalists as they take part in skill-building workshops, sit in on panel discussions and visit area research sites. The conference, produced by the association’s Center for Excellence in Health Care Journalism, features world-class speakers, important news briefings and helpful sessions all aimed at aiding reporters, editors and news producers in better covering the latest health issues. Freelancers will have an opportunity to pitch story ideas to assignment editors. Winners of the latest Awards for Excellence in Health Care Journalism will be celebrated. An exhibit hall will feature foundations, universities, research institutions and other organizations with useful reporter resources. And all attendees will have numerous opportunities to network with their peers – at sessions, meals and receptions, all of which are included in the registration fee. This webinar will bring you up to date on what’s happening in the states with implementation of the Patient Protection and Affordable Care Act. By watching, you will be better able to answer questions on this topic for readers, viewers and listeners. The Association of Health Care Journalists is forming a Boston-area chapter, and health journalists from the region are invited to the inaugural meeting, featuring Dr. Bohdan Pomahac, who has performed four face transplants at Brigham and Women’s Hospital. This AHCJ Washington, D.C., chapter event will feature conversations on health reform with representatives of some of the major national hospital advocacy organizations. This briefing will help you better answer questions for your readers, viewers and listeners about many of the key decisions implementing health reform that are left to the states. As many of us leave traditional media and still others never get a chance to get their feet in the door, it behooves us to consider a new type of skills training: entrepreneurship. Come join your health journalist colleagues and some special guests for some drinks and food. We’ll toast the season, reminisce about a crazy year and look forward to what promises to be a momentous 2012. AHCJ has teamed up with the Centers for Disease Control and Prevention – with the support of the CDC Foundation – for this national fellowship program for journalists. Ten fellows will be chosen to spend a week studying public health issues at two CDC campuses. This AHCJ Philadelphia chapter event will be an update on advances in pediatric oncology research and treatment at Children’s Hospital of Philadelphia (CHOP). The event will consist of laboratory tours followed by an informal discussion with featured researchers. The event is free, includes light refreshments and is open to health care journalists from the Philadelphia, New York and Washington, D.C., chapters, as well as from other regions who are interested in attending. The health care overhaul law passed by Congress in 2010 sets out national goals and requirements. But many of the key decisions implementing the law are left to the states. What’s happening in Georgia and other states to implement exchanges and other aspects of the health reform law? How are states coping with the law’s Medicaid expansion in a time of budget deficits? As they plan for reform, how are states addressing tough issues such as health care for undocumented immigrants and cutbacks in mental health services? How do states go about getting waivers from the reform law, and how many might take advantage of that option? This briefing will help you better answer these questions for your readers, viewers and listeners. This event will teach journalists how to use the social media platforms Twitter and Storify to improve health reporting skills and increase online visibility. You’ll get a thorough overview of Twitter and how to manage it on the third-party platform called Hootsuite. We’ll also look at Storify, a platform for creating stories using social media. Storify cofounder and CEO Burt Herman just received the 2011 SPJ-NorCal Board of Directors’ Distinguished Service award for producing Storify. Learn how to cover this tremendous economic engine beyond the routine stories, with tools to find essential information your audiences need. Come meet fellow D.C. area health writers, editors and broadcasters, learn about how you can find stories at HHS OIG about health providers, Medicare fraud and learn about some new online OIG resources and potential news stories coming up in the next few months. Roberta Baskin and Don White from HHS OIG Public Affairs staff will be on hand. The event will wrap up by 7:45 p.m. but all are invited after for food and drink at the nearby Laughing Man Tavern. The Association of Health Care Journalists has teamed up with the National Library of Medicine to present the AHCJ-NLM Fellowships. AHCJ will select four journalists to spend a week on the campus of the National Institutes of Health. Philadelphia-area AHCJ chapter members will meet with top HHS public affairs officials to discuss issues related to accessing information and experts working for federal agencies under the U.S. Department of Health and Human Services. Richard Sorian, HHS assistant secretary for public affairs, and deputy assistant secretary Dori Salcido will explain the workings of the HHS public affairs office and discuss concerns about access to federal information. Does your local hospital place more cardiac stents than others? Do more of its patients leave the emergency room without being seen? Does it have a high level of C-section births? These questions and others are relatively easy to answer thanks to a data gold mine kept by the obscure California Office of Statewide Health Planning and Development. It doesn't matter if your hospital is public, nonprofit or for-profit, data on its patients and services are available online. Charles Ornstein, senior reporter at ProPublica and president of AHCJ's board of directors, will guide you through using the data to answer those questions and more. Meet some fellow D.C. area health writers, learn what's going on at AHCJ and meet some of the HHS media team you may only know through email and conference calls. Some of the newest members of the HHS team will be there including Erin Shields from HHS, Brian Cook from CMS and Nick Papas, White House health reform spokesman. 06/23/11 - 06/24/11 Coventry, U.K.
A conference organized by Coventry University in cooperation with AHCJ. This conference aims to address some of the key issues in health journalism, as well as the state of training of health journalists, and pressures in modern newsrooms. A program committee is working to nail down sessions and panelists right now and has invited abstract proposals from journalists, educators and researchers. Watch this site for a schedule of events. Even if your newsroom is in a bustling city, there are untold rural health stories down the road. So join us in St. Louis for this special one-day, no-fee workshop to help you find and cover health stories in rural America. Just join AHCJ – or make sure your membership is up to date – to attend. Dr. Mendel Singer, director of the Jewish Community Health Initiative at Case Western Reserve University, and Rabbi Akiva Feinstein, spiritual care adviser, will talk about various groups making up the northeast Ohio Jewish community; Jewish public health issues, health care use and perceptions; health research issues primarily affecting Jews; and the new health website that's been receiving a lot of national recognition, JewHealth.org. AHCJ's annual conference goes to Philly! The program will include dozens of panels, field trips, newsmaker briefings, Freelance Pitchfest, world-class speakers, 2010 Awards for Excellence in Health Care Journalism luncheon and a number of other special events. Speakers will include G. Michael Lemole Jr., M.D., the neurosurgeon who treated U.S. Rep. Gabrielle Giffords after she was shot in Tucson; Brian Deer, the British reporter who exposed the weaknesses in a study that led parents all over the world to withhold vaccines from their children; Walt Bogdanich, an investigative editor at The New York Times; NIH director Francis S. Collins; Donald M. Berwick, administrator for the Centers for Medicare and Medicaid Services ... as well as many more outstanding journalists and experts. Following up on a hugely popular social media event held several years ago, this event will teach journalists how to practically use social media platforms to improve health reporting skills. It will not only revisit the basics of Facebook, Twitter and blogging but also cover some new platforms and tools. In a rare off-the-record discussion between journalists and government press officers, the D.C. Chapter of the Association of Health Care Journalists will host a meeting with press officers of the U.S. Department of Health and Human Services and the White House Office of Health Reform. The Chicago chapter of the Association of Health Care Journalists invites you to a panel discussion of health care overhaul as the law nears its anniversary. Kansas health is making news. Health reform battles are moving to the state level. Tight tax dollars are straining local health programs. And the list goes on. Journalists across Kansas have the chance to access government officials and health experts with a focus on health stories that impact the state's residents and media audiences. The news-breaking event will provide journalists with the tools needed to improve the depth and amount of coverage focused on critical state and local health issues. The seminar will provide journalists insight into state government's role in health policy. Attendees will leave the event with stories for their newsrooms right away, plus solid ideas for future health-related stories. Journalists across Missouri have the chance to access government officials and health experts with a focus on health stories that impact the state's residents and media audiences. The news-breaking event will provide the tools needed to improve the depth and amount of coverage focused on critical state and local health issues. The seminar will provide journalists from Missouri insight into state government's role in health policy. Attendees will leave the event with stories for their newsrooms right away, plus solid ideas for future health-related stories. This 10-month program allows mid-career journalists to pursue a significant reporting project examining health care systems. Guidance is provided through customized seminars on health performance, conference calls and e-mail consultations with AHCJ fellowship leaders. The Atlanta chapter of the Association of Health Care Journalists will gather to greet two visiting groups of journalists on Tuesday, Dec. 7th. The social gathering will take place at 7:30 p.m. in the lobby area outside the Club Room at the Emory Conference Center Hotel. That's the same site as our previous meeting. There's free parking in the garage underneath the hotel. Eleven AHCJ-CDC Health Journalism Fellows will spend a week studying public health issues at two CDC campuses. They will attend attend sessions on epidemiology, global disease prevention efforts, pandemic flu preparedness, climate change, vaccine safety, obesity, autism and more. The visit includes a tour of the CDC director's National Emergency Operations Center, the chance to meet new sources on policy and research and information about how to tap the agency's resources to produce better stories. Learn techniques and tools for getting the inside story on pharmaceuticals, medical devices, hospitals, and for keeping up with regulatory and legal activity from award-winning, veteran investigative reporters Duff Wilson, of The New York Times, and Charles Ornstein, AHCJ's president and a senior reporter at ProPublica. Join the Association of Health Care Journalists' Washington, D.C., chapter to mingle with top officials from the Food and Drug Administration's public affairs and press office. Learn more about finding story ideas and where to go for answers to questions and important details. All health care journalists/science writers welcome. Interested in forming a Cleveland chapter? Join us for a free workshop for journalists on researching medical stories. You'll get expert instruction on using the National Library of Medicine's latest research tools. Join us as NLM senior staffer Rob Logan, former science reporter, editor and journalism professor, provides hands-on, interactive training. The workshop also is a chance to gauge interest in a regional chapter of AHCJ, which could lead to more training, networking and socializing opportunities. Billions of dollars in stimulus money has been allocated to medical and scientific research, funding thousands of medical research projects and scientific infrastructure awarded to individual scientists, one grant at a time. At the University of California, San Francisco, laboratories are humming with researchers who are creating the next generation of genetically inspired drugs and personalized therapies. The situation offers excellent health care reporting opportunities that combine economics, politics, and medical science. If you have never covered UCSF, this is your opportunity to learn how. Chicago health journalists will gather for networking and then hear from Dr. David Mayer, co-producer of the award-winning film, "The Faces of Medical Error ... From Tears to Transparency: The Story of Lewis Blackman," and a leader on transparency in health care. The Association of Health Care Journalists has teamed up with the National Library of Medicine to present the second AHCJ-NLM Fellowships. AHCJ will select four journalists to spend a week on the campus of the National Institutes of Health. AHCJ's Atlanta chapter will gather to celebrate the beginning of the end of a torrid summer (global warming, anyone?). This social meeting will coincide with the CDC Influenza Workshop for journalists. We're inviting the journalists attending the workshop to join us. AHCJ has sponsored 14 journalists to take part in a two-day workshop at the CDC about covering influenza. The workshop includes a series of on-the-record sessions with CDC experts to prepare front-line journalists for the upcoming flu season. Public health experts are providing a primer on the flu, examine how it is being tracked, expectations for vaccines and antivirals, and what communities can do to deal with the fallout. The notion of the "doctor is in" is undergoing rapid changes, thanks to technology that can skip the doctors' office entirely for some appointments. As health journalists, we can answer questions such as: What are the benefits of "telemedicine" for doctors and patients? What are the downsides? How does telemedicine work and how widespread is it likely to become in the months and years ahead? Will it curb runaway health care costs? We'll explore these questions and more. AHCJ has announced a fellowship program to help journalists understand and report on the performance of local health care systems and the U.S. health system as a whole. The AHCJ Media Fellowships on Health Performance, supported by The Commonwealth Fund, provides for training as well as field reporting assistance. The program for mid-career journalists is intended to give print, broadcast and online reporters an opportunity to learn about examples of high-performing health care systems, to focus on innovations in care delivery, and to explore a system or its significant parts to determine what makes that system effective or ineffective. Fellows will be able to examine providers of care, insurers, regulators and policymakers. Join us for a conference call announcing data that will allow you to track the outpatient outcomes at your hospitals.In a conference call with AHCJ members, the Centers for Medicare & Medicaid Services announced new data that will allow you to track the outpatient outcomes at your hospitals. The data release comes is the latest addition to the agency's Hospital Compare database. Audio of this conference call is now available. Join AHCJ's San Francisco Bay Area chapter for an insider's look at one of the best resources for health information in the Bay Area: the California HealthCare Foundation. Now that we have a national health care reform bill, what does that mean for California? Join us for perspectives from a leading authority on health care in the state. We'll learn about resources for reporters and specifics about how the new reform bill will affect various sectors of health care in California in the months and years ahead. Come to the Association of Health Care Journalists' D.C. chapter meeting with the press office staff from the Centers for Medicare and Medicaid Services and White House Office on Health Reform. CMS and White House officials will discuss how reporters can get information on Medicare and Medicaid and changes coming to the programs under the new health law. A briefing with some top Washington-based journalists sponsored by the Association of Health Care Journalists, the Alliance for Health Reform and the Robert Wood Johnson Foundation. After an intense year of covering health reform, the subject now seems more complicated than ever. Implementation timelines go on for page after page. Many questions seem to have no answers, at least not yet. Seems like a good time to take a breath and plot out how to cover health reform for the rest of this year, and the time leading up to 2014. AHCJ's Center for Excellence in Health Care Journalism will present this complimentary workshop, which will focus on special health concerns of America's rural populations and how reporters can better cover them. This is a special no-fee workshop to help you find and cover health stories in rural America. More than 500 people joined us in the Windy City for a world-class program of panels, workshops, field trips and classes planned to improve journalists' knowledge of today's hot-button health issues. Attendees tell us they went home with story ideas, had the chance to meet sources, strengthened their reporting skills and attend breaking newsmaker events. There were plenty of opportunities to network with other journalists. • Peter Pronovost, M.D., Ph.D., professor, Johns Hopkins University Quality and Safety Research Group, will be this year's keynote speaker. A series of sessions to help you understand health reform and explain it to your audience. A day devoted to journalists across Missouri will give reporters access to state officials and health experts with a focus on improving health reporting. The news-breaking event will provide journalists with the tools needed to improve the depth and amount of coverage focused on critical state and local health issues. The seminars will provide journalists from Missouri insight into state government's role in health policy. The journalists will leave the event with stories for their newsrooms right away, plus solid ideas for future health-related stories. Attendees will hear the latest on a variety of topics, especially important during a time when health – from reform to H1N1 – makes news every day. The Philadelphia chapter of Association of Health Care Journalists will hold an open meeting on Jan. 25 at the Drexel University College of Medicine. This is an opportunity for journalists to meet some major figures at Drexel and delve into the worlds of surgery, drug development, electronic medical records and the new health bill that Congress is poised to pass. The session is designed to focus on Drexel faculty who will be making news in the next year. A day devoted to journalists across Kansas will give access to state officials and health experts with a focus on improving health reporting. The news-breaking event will provide journalists with the tools needed to improve the depth and amount of coverage focused on critical state and local health issues. The seminars will provide journalists from Kansas insight into state government's role in health policy. The journalists will leave the event with stories for their newsrooms right away, plus solid ideas for future health-related stories. Attendees will hear the latest on a variety of topics, especially important during a time when health – from reform to H1N1 – makes news every day. Come join your fellow health journalists for some post-holiday cheer! We'll be meeting at the Laughing Man Tavern. This event is open to AHCJ and non-AHCJ members, so bring your colleagues too! No agenda. Just a chance to meet new colleagues or old friends. The Atlanta chapter of the Association of Health Care Journalists is having a social gathering next week to welcome 10 fellow health journalists from across the country who are in town for a fellowship program at the CDC. Our visitors include newspaper, magazine and freelance journalists. The Association of Health Care Journalists has teamed up with Centers for Disease Control and Prevention for this national fellowship program for journalists. Ten fellows are chosen to spend a week studying a variety of public health issues at two CDC campuses. The fellowships include membership, travel, lodging and meals. What do current Medicare beneficiaries think of the program? What do they like and don't like? How would they change their coverage if they could? Experts will explore the high out-of-pocket costs some beneficiaries still must still pay and whether they have too many choices for supplemental and drug coverage. What are the prospects for preventive care services that many beneficiaries say they want? Experts will also look at the long-term prospects for Medicare. Our panel of experts and journalists will discuss these issues and more with an eye toward what journalists need to know to best inform their readers and viewers. Send questions in advance to talkinghealth@healthjournalism.org. Stories about food, nutrition, and the health impacts of eating are all over the media lately. The topic is especially significant for kids, who continue to tip the scales more than their peers even a decade ago and risk heading into adulthood with medical conditions that used to be for adults only. What can be done? Bay Area experts are doing some good work to solve this problem; our speakers are among this group, and share some insights and recent work that will inspire story ideas that will resonate with your readers and listeners. Mandatory RSVPs by 3 p.m., Wednesday, Nov. 11. Over the next 20 years, the 65-plus population is projected to grow four to six times as fast as the population as a whole. Learn what the hot-button issues in our aging society will be and what you need to be reporting on now. What's ahead in research on chronic conditions, Alzheimer's and genetics? What's evolving in technology? What will be expected of caregivers? What kind of medical coverage will these seniors need? How do changing ethnic populations impact aging issues? Come explore these issues and more so you can start telling these stories now. This panel, presented at the California Chicano News Media Association's Journalism Opportunities Conference, will help reporters who don't normally cover health learn how to cover the health angles on their beats. How FOI has changed (if it has) from the Bush to Obama administrations, examples of recent lawsuits, and how to navigate FOI hurdles. How the California Public Records Act has changed in the last year, examples of what precipitated legal action, how to make requests, and what to if you get no response or have difficulty getting records. What a reporter can do to translate hundreds of thousands of records into a digestible and comprehensive database. Tuberculosis: AIDS of the 21st Century? Tuberculosis (TB) is one of the most devastating epidemics of our time. But it receives relatively little attention from the media in relation to the 1.8 million deaths (and 9.3 million cases) it causes annually. Even worse, is the growing epidemic of multidrug resistant TB (MDR-TB), which is greatly undermining gains in controlling TB particularly among those with HIV/AIDS. Recent data show that 25 percent of people dying of TB are HIV . An expert panel of scientists and journalists will make the case that health journalists must be prepared to cover MDR-TB and to persuade editorial leadership of its urgency. The Atlanta chapter of AHCJ is piggybacking off a just-announced town hall forum on health care reform. If you can't make the start of the town hall, drop by later on. And plan to meet up afterward in the hotel bar in the lobby, the Parasol, to chat about health care and other issues.The town hall event is free and open to the public. Join the Washington, D.C.-metro area chapter of the Association of Health Care Journalists for a roundtable on the challenges and opportunities of covering health care reform. The Association of Health Care Journalists has teamed up with the National Library of Medicine to present the first AHCJ-NLM Fellowships. AHCJ will select four journalists to spend a week on the campus of the National Institutes of Health. There's little question that health reform has dominated the news this summer, but is the coverage tackling the right issues? Join us for a "Talking Health" webinar, presented by AHCJ, The Commonwealth Fund, and the CUNY Graduate School of Journalism, to find out what top journalists think of the coverage of this complicated policy debate. In advance of its annual conference, the Religion Newswriters Association is cooperating with AHCJ to put on a workshop focused on the intersection of health and faith. While it's getting easier to check the quality of health care institutions, investigating the quality of health professionals still requires a lot of legwork. This session will focus on the use of public records, court documents and interviews to background the people to whom we trust with our care. Several investigative reporters who have done it well will be highlighted. AHCJ sponsored 12 journalists to take part in a two-day workshop at the CDC about covering seasonal influenza and the A-H1N1 flu virus, now grabbing the headlines. The workshop includes a series of on-the-record sessions with CDC experts to prepare front-line journalists for the upcoming flu season. This three-hour event is open to all AHCJ members. It's planned as a fast-moving summary of the Fox Chase Cancer Center's highlights. Most presenters will speak for 15 minutes. The subjects will range from trends in personalized medicine and women's cancer to advances in radiation oncology and robotic surgery. Fox Chase maintains these researchers are all likely to make news in the next 12 months. A leading CDC expert on influenza, Dr. Nancy Cox, will address the Atlanta chapter. It promises to be an illuminating look at swine flu and its effects on global health. So come out, shake off the midsummer blahs and enjoy a great evening of infectious talk with your fellow health journalists. The 2008-09 Midwest Health Journalism Program Fellows will attend a seminar on covering rural health issues and will officially graduate from the program. AHCJ member Gary Schwitzer will address the challenges of writing accurate, balanced and complete stories on deadline despite biased sources and commercial pressures in the medical industry. Schwitzer will use real stories as examples to show how it doesn't take an extra thousand words of type or 10 minutes of air to write a solid medical story. Health reform is picking up steam in Congress. A major flash point in the coming debate is whether employers and individuals should be able to obtain health insurance through a public plan that is similar to Medicare, as well as private insurance from commercial carriers. Our next Talking Health program will feature two experts: Cathy Schoen, senior vice president for research and evaluation at The Commonwealth Fund, and Bruce M. Bullen, chief operating officer of Harvard Pilgrim Health Care. They will be on hand to offer their judgments on what we can expect. Our two journalist experts, Noam Levey, a reporter at the Los Angeles Times; and Ceci Connolly, a staff writer at The Washington Post; will provide their insights and suggestions for covering what will be a major story in the coming months. The speakers will answer questions submitted before and during the webcast. Join us in Seattle for AHCJ's annual conference, featuring dozens of experts and top journalists. Reforming our health care system, which many believe is necessary for the United States to see economic recovery, is at the top of many people's minds these days. A number of panels, with expert speakers, at Health Journalism 2009 have been designed to help journalists cover health reform and all of the issues involved in a way that their readers and viewers will understand and appreciate. More reasons not to miss this conference: Freelance PitchFest , networking with colleagues, receptions and much more. Panels and speakers will cover policy, business, research and clinical topics, with an aim of giving attendees practical ideas and information. A new report examining the state of health care journalism and a survey of members of the Association of Health Care Journalists will be released. An expert panel will discuss the findings and the general topic. Join us for a behind-the-scenes look at research and findings coming out of UC Berkeley's School of Public Health. You'll hear about leads, contacts, and valuable background for your stories in the areas of health research, new treatments for diseases, solutions to health business and policy challenges, and much more. The fellows in the Midwest Health Journalism Program who are in Missouri will travel to Jefferson City for a series of briefings and meetings with state health policy experts. Whether you're a staff reporter or freelancer, you've undoubtedly heard that to survive in the media in the future, you'll need to blog, podcast, and Twitter. A few writers have become conversant in online technologies and are using them to the benefit of their careers. Many of the rest of us, though, may have experimented with a blog or used Facebook to find sources for a story, but are still waiting to see how the digital revolution is really going to help our work lives. We'll explore this question with a panel of folks who are using online technology or helping others to do so. Those Midwest Health Journalism Program Fellows who are in Kansas will go to Topeka for briefings and meetings with state health policy experts. The 11 journalists in the the first class of AHCJ-CDC Health Journalism Fellows will spend a week studying public health issues at two Atlanta campuses of the Centers for Disease Control and Prevention. The fellowship program, supported by the CDC Foundation, will include presentations, roundtable discussions and lab tours on epidemiology, global disease prevention efforts, obesity, vaccine safety, pandemic flu preparedness, autism and many other topics. Philadelphia-area members of the Association of Health Care Journalists can learn about an international cancer information resource based in our own backyard: OncoLink, the oldest and largest cancer information resource on the Internet founded in 1994 by University of Pennsylvania cancer specialists. The 2008-09 Midwest Health Journalism Program fellows will visit the CDC to learn more about how that agency works, what resources it has available and how to best use those resources. The fellows also visit the Carter Center. This competitive fellowship program picks 10 journalists from Kansas and Missouri each year for special training sessions, mentoring and access to AHCJ conferences, workshops and resources. Obama presidency: Does his health plan stand a chance? What lies ahead for health reform? The candidates made lots of promises during the campaign and now the time has come to deliver on them. Will the new president really be able to bring insurance coverage to more Americans given the country's other financial problems and the growing deficit? Will we again fall back on an incremental approach? Our next Talking Health program will feature two experts who have been following the politics of health reform for a long time and two journalists who will give suggestions for covering the story for the next year nationally and locally. They will be taking questions from the audience, so submit questions today! Philadelphia's AHCJ chapter will host a free workshop on health care reporting featuring guest lecturers Gary Schwitzer, associate professor at the University of Minnesota School of Journalism and Mass Communications, and publisher of HealthNewsReview.org, and Kathleen Fairfield, MD, DrPH, a medical editor with HealthNewsReview.org and clinician-scientist at Maine Medical Center. They will share their data on how news organizations have performed on 10 criteria for accurate, balanced and complete coverage; reflect on trends observed in the coverage of health care news; and provide tips about evaluating claims made about new health care treatments, tests, products and procedures. Jim Pickett of the AIDS Foundation of Chicago; Johnathan Briggs, foundation spokesman and former Tribune reporter; and Rev. Doris Green will discuss AIDS/HIV and the need for more prevention efforts. AHCJ is a sponsor of the 6th Annual Missouri Health Policy Summit, hosted by the Center for Health Policy at the University of Missouri. Dr. Arthur Kellermann, the associate dean for health policy at Emory University's School of Medicine, will be the featured speaker at this meeting of AHCJ's recently formed Atlanta chapter. Kellermann is one of the nation's leading experts on emergency medicine, ambulatory health policy and injury prevention. Sessions will explore the health issues of children, seniors and immigrants in urban settings, as well as topics such as obesity, mental health, disaster preparedness and the mapping of local health data. Come get the tools to better investigate, understand and relate the health of your city. This hands-on workshop will hone your skills and help you overcome the hurdles of reporting and writing quality health care stories despite biased sources and commercial pressures in the health/medical industry. We'll look at recent examples in our local media and learn tips and strategies. Mary Chris Jaklevic, secretary of AHCJ's board of directors, hosted an informal gathering of health journalists. Disseminating the information that comes from medical practitioners and the media is becoming more difficult. In this session health reporters and public health information officers will lead a discussion about the complicated roles of journalists and sources in this new environment and what the future may hold. This intensive boot camp for the 2008-09 Midwest Health Journalism Program brings the fellows together with top health care journalists for in-depth sessions on how to report on specific health care issues. This competitive fellowship program picks 10 journalists from Kansas and Missouri each year for special training sessions, mentoring and access to AHCJ conferences, workshops and resources. Atlanta-area health journalists will gather to lay the groundwork for a local chapter. This kick-off workshop brings the class of fellows together with experts to learn more about politics and policy, stakeholders in the health care debate and ideas for generating stories. This competitive fellowship program picks 10 journalists from Kansas and Missouri each year for special training sessions, mentoring and access to AHCJ conferences, workshops and resources. AHCJ, The Commonwealth Fund, and the CUNY Graduate School of Journalism will present Talking Health, a webcast for members that will explore the growing problem of the underinsured – those who have insurance but are still at risk for substantial out-of-pocket expenses. AHCJ's Chicago chapter presents this session in which attendees will learn how to address the challenges of writing accurate, balanced and complete stories on deadline despite biased sources and commercial pressures in the medical industry. The speakers will use real stories as examples to show how it doesn't take an extra thousand words of type or 10 minutes of air to write a solid medical story. The San Francisco Bay Area Chapter of AHCJ will hold this panel discussion, exploring a timely topic that deserves more local coverage. Thousands of veterans are coming home with serious injuries, especially post-traumatic stress disorder, brain trauma, and physical disabilities. Are local medical and mental health resources adequate to handle their needs? AHCJ's Center for Excellence in Health Care Journalism will present the workshop, which will focus on special health concerns of America's rural populations and how reporters can better cover them. This conference is designed to help journalists navigate the complex scientific, medical and political issues involved with global health, to assess what's working and what's not, and make these stories meaningful to local audiences. Nearly 600 people attended Health Journalism 2008 for dozens of panels on medical research, public health, the business of health care and consumer health. They also hear actor Dennis Quaid's very personal perspective on medical errors, Elizabeth Edwards' take on John McCain's health care plan, top experts debate the future of health care in this country and much more. News briefings by HHS Secretary Michael Leavitt and officials from the American Public Health Association and its partners let attendees write stories for their news outlets during the conference. This Chicago chapter event featured two doctors who specialize in treating addictions. This panel will tap into cutting-edge news, research, and innovations developing in the Bay Area. If you write about any health aspect of the boomer generation, you won't want to miss this event. Panelists include Laura L. Carstensen, professor of psychology and director of the Stanford Center on Longevity, and Bay Area journalist Paul Kleyman, editor of the American Society on Aging's publication Aging Today and the national coordinator of the Journalists Exchange on Aging. Andrew Dillon, chief executive of the National Institute for Health and Clinical Excellence, will meet with British and American reporters to discuss his agency's role in advising the UK's National Health Service on the cost-effectiveness of medical treatments, and some of the subsequent rumbles across the Atlantic. Enjoy complimentary light refreshments and a casual, meet-and-mingle gathering. The holiday party will be hosted this year by KQED Public Radio's The California Report, producers of "Health Dialogues." The 2007-08 fellows will pay a visit to the Centers for Disease Control. They will take part in two days of educational sessions, briefings and tours with CDC personnel. For the first time, Florida health reporters will gather to share tips, ideas and meet some of the state's top health regulators. The gathering also will serve as an exploratory meeting to discuss the possible formation of an AHCJ Florida Chapter. All Florida health reporters are invited. You do not have to be an AHCJ member to attend. The Chicago chapter of the Association of Health Care Journalists held an after-work gathering where AHCJ board member Mary Chris Jaklevic, who edited the new AHCJ guide "Covering Obesity: A Guide for Reporters," discussed the book and AHCJ board member Carla K. Johnson gave an update and answered questions about AHCJ nationally and in Chicago. The New York chapter heard from five speakers about conflicts of interest in health care. The event, at the CUNY Graduate School of Journalism, examined how to recognize potential conflicts, including marketing vs. education, the pharmaceutical industry's gift giving to doctors and how it might affect prescribing habits and similar issues. AHCJ - and its Center for Excellence in Health Care Journalism - held its first Urban Health Journalism Workshop. Sessions explored the health issues of children, seniors and immigrants in urban settings, as well as obesity, mental health, disaster preparedness and the mapping of local health data. Get MP3 and Flash presentations from the 2007 Urban Health Journalism Workshop. Topics include the health issues of children, seniors and immigrants in urban settings, as well as obesity, mental health, disaster preparedness and the mapping of local health data. Three dozen journalists gathered at the San Francisco Chronicle for a workshop on multicultural health issues in the Bay Area. Covering disparities in health and health care is not the same as reporting the latest drug trial or diet advice. Culture, history, money and biology intertwine to influence health and health care. This workshop builds on AHCJ's recently published multicultural health resource guide, which was supported by The California Endowment, to help you sharpen your skills, learn practical tips, and avoid lurking traps in this important, yet underreported area. Experienced journalists share their hard-earned lessons. Health experts flag common errors and misconceptions, while also providing an overview of what researchers really know. Multimedia presentations are now available from this workshop, the third of its kind presented in California by AHCJ over the past year, was sponsored by The California Endowment. Logistical support also came from The Maynard Institute for Journalism Education. Bay Area members gathered to hear from three panelists about "Universal health coverage in California and the U.S.: Will it happen, when, and what will it look like?" Audio is now available from the AHCJ San Francisco Bay Area Chapter meeting on Sept. 5 at the Kaiser Family Foundation about "Universal health coverage in California and the U.S.: Will it happen, when, and what will it look like?" Training event for the 2007-08 Midwest Health Journalism Program fellows. Kickoff training event for the 2007-08 Midwest Health Journalism Program fellows. Washington, D.C., members gathered for a brown-bag lunch and panel discussion on drug safety regulation and the Prescription Drug User Fee Act (PDUFA), which is currently in conference committee in Congress. Chicago chapter meeting: What's next in health care reform, nationally and in Illinois? The Chicago chapter will meet at 6 p.m. at Columbia College to hear about the future of health care reform from two speakers. Join the Bay Area chapter of the Association of Health Journalists for a lively discussion. Find out how to unearth potential conflicts of interest when reporting on drug treatments -- and what to do once you've uncovered them. Please RSVP by May 4. AHCJ is a sponsor of this event. Board members Charles Ornstein and Karl Stark will be among the panelists.Topics include stroke, prison health and researching local hospitals. This innovative simulation will hone your critical-thinking skills and give you the beat-specific knowledge needed to cover the hospitals in your community. You will be a rookie health beat reporter, investigating local hospitals on deadline, working with your editor to find the focus of your story and craft the lead. You'll tap into the same tools that you'll use on the job, and you'll have a virtual "mentor" to walk you through the maze of reports, statistics and sources. As the simulation progresses, you'll uncover additional sources, and the story you thought was unfolding might take unexpected turns. More than 400 journalists attended Health Journalism 2007, gathering story ideas and resources. The conference featured a news briefing by Calif. Gov. Arnold Schwarzenegger; a Hollywood and Health panel of writers, producers and actors from hit television dramas; and a keynote conversation with Steve Case, founder of AOL and Revolution Health. AHCJ and the Kaiser Family Foundation hosted this interactive roundtable webcast on March 6, 2007. Trudy Lieberman, president of AHCJ's board of directors, moderates a panel of experts discussing what journalists need to know about covering SCHIP. With the State Children's Health Insurance Plan (SCHIP) up for reauthorization, this roundtable - a partnership between the Association of Health Care Journalists and the Kaiser Family Foundation - focuses on what journalists need to know about covering SCHIP in their states. Health reform proposals announced by would-be presidential candidates call for expanding coverage through SCHIP. Costly drugs and Big Pharma garner the majority of media coverage, yet medical devices and diagnostics are a massive, fast-growing market. Find out about trends, sources, and the latest advances in this important yet still under-reported sector. AHCJ President Trudy Lieberman - with Julie Appleby, USA Today, and Mary Agnes Carey, CQ Healthbeat - joined a panel of health care journalists shareing insights on what journalists need to effectively report on health care policy. AHCJ President Trudy Lieberman - with Julie Appleby, USA Today, and Mary Agnes Carey, CQ Healthbeat - joined a panel of health care journalists sharing insights on what journalists need to effectively report on health care policy. End your work day with a friendly gathering of coworkers and friends. No guest speakers or panels, just mingling with colleagues about hot topics in health journalism. Renowned scientists, public health officials and journalists will examine the threat of an influenza pandemic – and how to cover it – while sharing lessons learned. Learn how to add the latest in podcasting, digital images, audio, and more to your stories. For friends and colleagues in the South Bay, the San Francisco chapter met at Nola's Restaurant and Bar in Palo Alto. An inside look at "the new journalism." The Northern California Science Writers Association had open spots available for its all-day field trip to the Buck Institute, a facility devoted to research on the process of aging and age-associated disease. The chapter met at the Vino Venue on Mission Street in San Francisco to network, chat and meet fellow Bay Area health journalists. Bay Area health care writers, editors, reporters and authors gathered at the 13 Views bar at the top of the Hyatt Regency Embarcadero for a Health Journalism Schmooze. Taking the pulse of the current newsroom: With resources cut and bottom-line pressures escalating, what's happening to journalism? A friendly after-work get-together. No guest speakers or presentations, just a chance to chat with colleagues about hot topics in health journalism. Drug companies seem to spend almost as much on marketing as on science, making it hard for us to penetrate their products and research. What's the best way to get the straight dope? The chapter met at the Vino Venue in San Francisco to network, chat and meet fellow Bay Area health journalists. More than 350 journalists, educators, students and health care experts gathered in Houston to take advantage of more than 50 workshop or panel sessions, five field trips and several receptions and other networking opportunities. The Bay Area chapter hosted a Happy New Year event open to all health care writers, editors, reporters, authors in the Bay Area. A roundtable focusing on the new Medicare prescription drug benefit known as Part D, designed to help Medicare beneficiaries pay for their medications. Editors from leading electronic media spoke with members about freelance opportunities, salaries, deadlines, pro's and con's, and how electronic is different from print or broadcast journalism. Dr. Tony Fauci, head of the National Institute of Allergy and Infectious Diseases, met with members of the Washington, D.C. chapter. Those who have wondered what it's like to cover the health beat live -- on radio, television or cable -- were able to talk informally with three on-the-air staff and freelance reporters. The Washington, D.C. chapter met with Newt Gingrich, the former House speaker and potential 2008 Republican presidential candidate, at his Center for Health Transformation. AHCJ's sixth national conference included field trips to the Duke Diet & Fitness Center, the UNC Center for Environmental Medicine, Asthma and Lung Biology; and the VA Medical Center. This roundtable focuses on health savings accounts and related approaches advocated by the Bush Administration and others to address rising health care costs and lack of coverage for the uninsured. Webcast and transcript available. The first regional conference sponsored by the Association of Health Care Journalists and the Center for Excellence in Health Care Journalism. The program included 31 sessions with more than 60 speakers. AHCJ's third national conference had more than 200 attendees, a plethora of speakers and 19 exhibitors.